Poor productivity growth lies at the heart of the current political crisis in the West. Until recently, voters were willing to back a market-driven system because it seemed to work for them. Fuelled by productivity gains, incomes rose, living standards improved and credit was easily available. Yet US living standards started to stagnate in the run-up to the financial crisis, becoming part of a wider pattern across the developed world since 2008. Now, vast swathes of people across the developed world feel the pro-market, small government, laissez-faire model doesn’t deliver. Their displeasure has been reflected in their voting behaviour, helping to explain the rise of new ‘populist’ politicians who espouse policies that seek to limit the role of free market forces and roll back globalisation. The emergence of this ‘new politics’ is a challenge for investors. Since the early 1980s, markets have adapted to an environment where the rules of economic self-interest govern behaviour. The current phase of political discourse creates unfamiliar challenges. Electorates in the UK and US have indicated they want less free markets and less globalisation. They think, perhaps wrongly, that this will improve their lot. Markets, perhaps wrongly, feel that this is a full frontal attack on their modus operandi. Mixed in with recent electoral results are issues of identity as well as pure economics. Regardless, politicians appear minded to reflect public opinion rather than shape it and those who seek to oppose it seem unable to impose their will. Hilary Clinton failed with her brand of globalisation friendly left-wing politics and Angela Merkel has been unable to continue through with her support of refugees. Previously unthinkable developments (for economists) must therefore be built into our analysis. In 2008 we learnt that banks can go bust. We may be about to learn that protectionism can take hold even when the lesson of the 1930s is that it is economically toxic. If that wasn’t enough, conventional developments continue to require our attention. For several years pundits have suggested monetary policy has reached its limits with a rebalance to fiscal policy widely canvassed. Now the US looks set to lead the way. At this stage, there are many questions still to be answered, not least the extent of the swing towards more expansionary fiscal policy, and how global financial conditions might change in response to such a shift. Of equal importance is whether financial repression will continue as before, how big a headwind high levels of debt and ageing populations will be to faster growth, and whether greater protectionism will find expression beyond the presidential campaign. The size and interaction of these forces will determine the shape of the world in 2017 and beyond. Bette Davis once said that “Old age ain’t no place for sissies”. You might say that about today’s bull market. Note the value of an investment and the income from it can go down as well as up, so you may get less than you invested and tax rules and allowances can change. 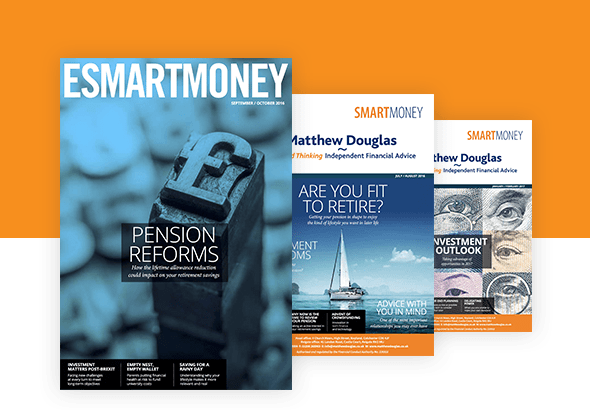 The ideas and conclusions featured are the author’s own and do not necessarily reflect views being actively implemented in Fidelity’s range of investment products and solutions. They are for general interest only and should not be taken as investment advice or as an invitation to purchase or sell any specific security. Past performance is not a guide to what may happen in the future and any figures and returns quoted are purely to illustrate the author’s points unless stated otherwise.